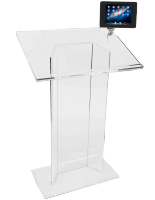 This tablet reading lectern is a user-friendly podium made from stylish clear acrylic. 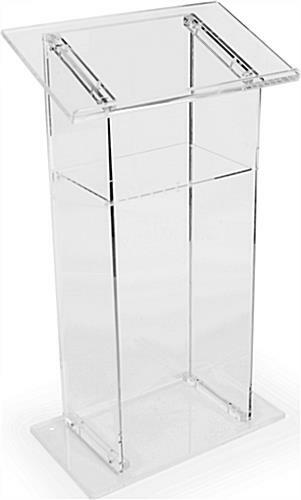 The 47.5" tall fixture features classic design and includes a slanted top with book-stop as well as an internal storage shelf. 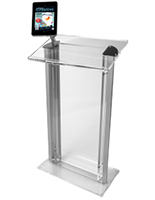 Designed for use with Gen 2 through 4 iPads as well as the new Air devices, each reading lectern comes complete with a silver clamp-on bracket and locking enclosure. 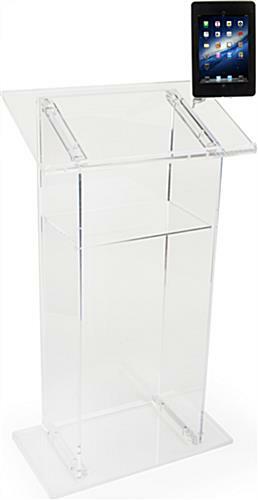 This acrylic podium is an ideal accessory for speeches, lectures, sermons, meetings, or presentations. 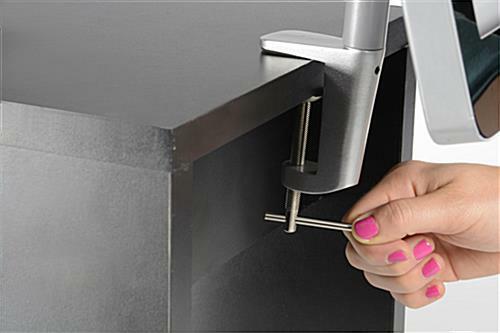 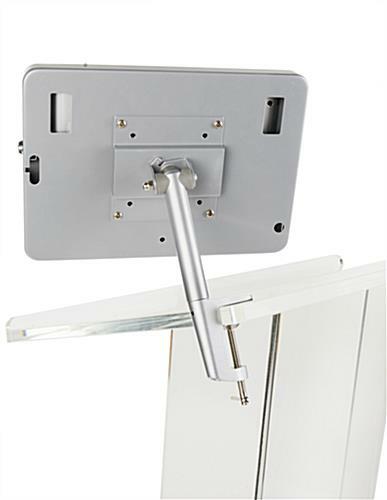 The secure iPad reading lectern's locking enclosure ensures device safety, while the clamp allows perfect placement for usability. 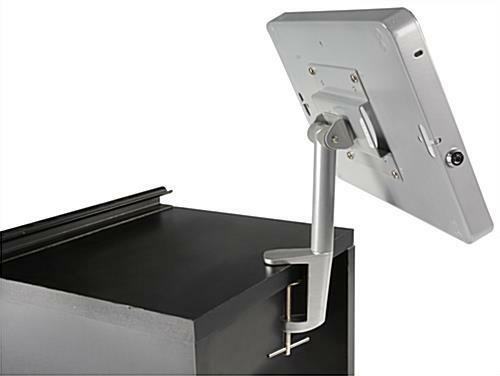 This versatile facility fixture is a great choice for school, conference room, meeting, church, and even trade show use. 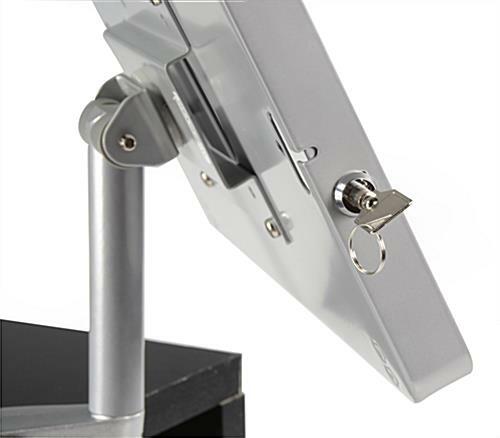 26.8" x 64.5" x 15.0"